Feminine design is not all bows, frills, and rainbows. There is a way to be sophisticated in feminine design. 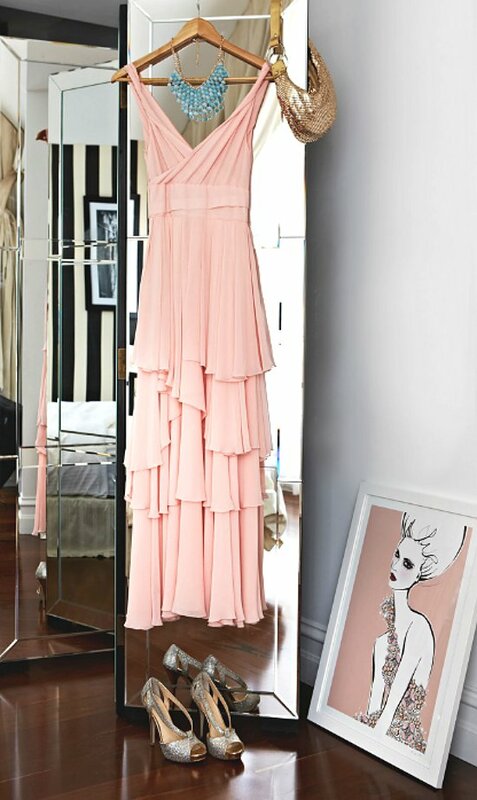 This home, belonging to fashion illustrator, Megan Hess, does it perfectly. The pinks, blacks, whites, and occasional touches of warmth, create a cosmopolitan and luxurious space that satisfies all inner princesses. In her fantastic seating area, there is a pale pink accent wall, a pewter velvet chair, and a collection of glorious fashion illustrations. The white table, filled with gorgeous decor, is placed next to a deep pink cushion, while neutral carpet covers the floors. The velvet chair and the pinks in this area, look oh-so-glamorous, adding luxury to this feminine interior. The closet is a space lovers’ dream. 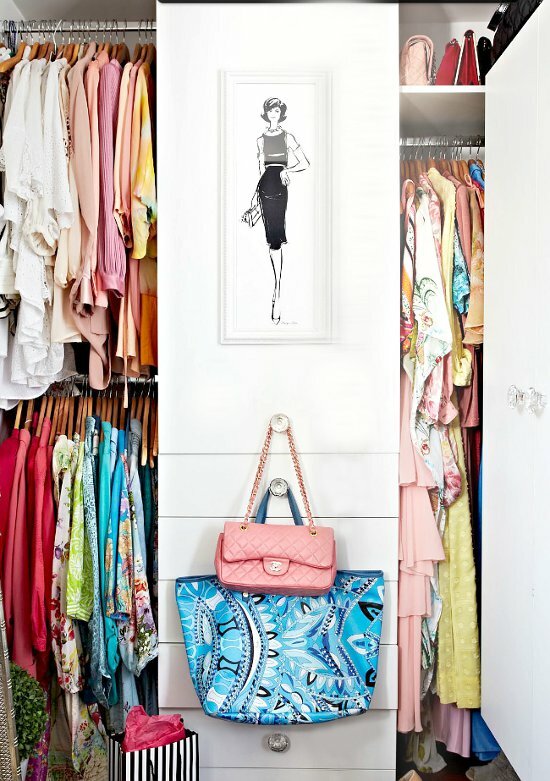 There are specific places for shoes and purses, along with ample drawer and hanging space. The creme stool, adds comfort to the closet, providing a place to sit. 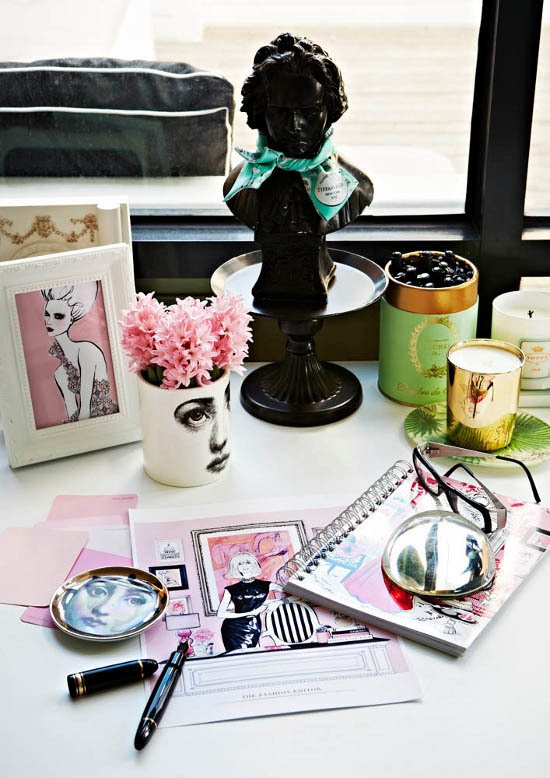 More fashion illustrations, vases, flowers, and adorable porcelain sculptures fill the home. 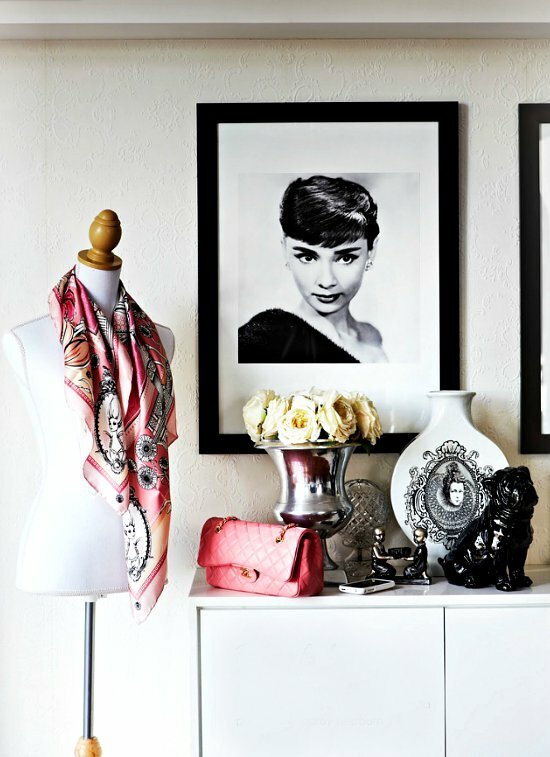 A fantastic photograph of Audrey Hepburn, a Hollywood and fashion icon, sits above the white console, alluding to the style and glamour of this space. The silver vase and creme flowers, add a wonderful delicate quality, and the sewing mannequin is a fitting design touch. 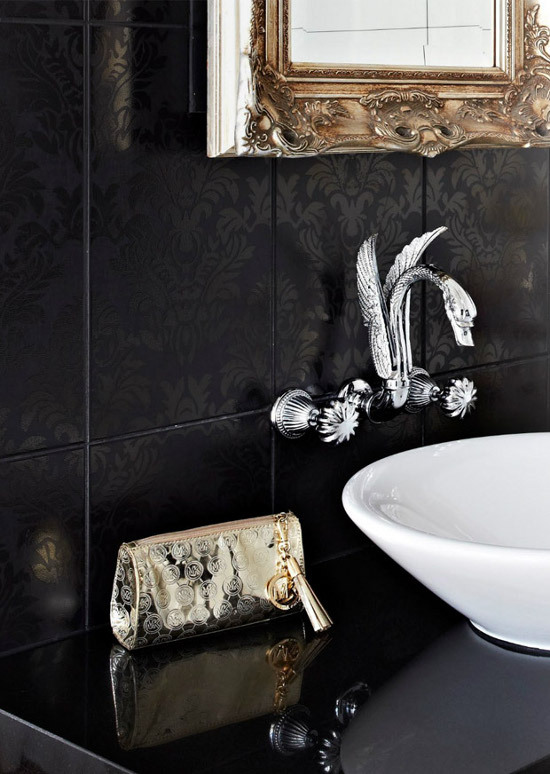 The bathroom is opulent, with its detailed pitch black wall, and silver accents. 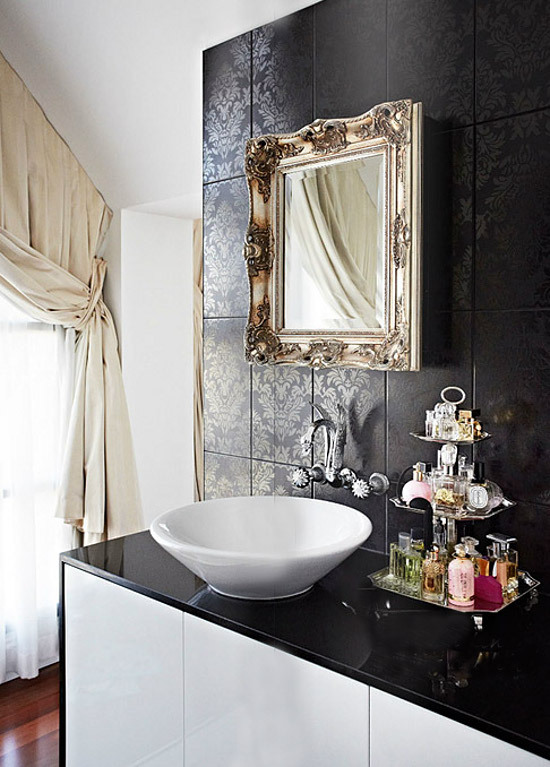 A white sink, black countertop, and white cabinets, create opposition consecutively, making for a wonderful contrast. The faucet of the sink is absolutely gorgeous and detailed. Marble floors and a silver and white claw-foot bath tub add even more luscious detail to this feminine design. The faucet of the bathtub and the photograph hanging above it, are modern and clean-lined, providing balance to this upscale bathroom. This sensational home is a wonderful representation of glamour and femininity. It successfully creates luxury and splendor with feminine design.